With 40 Tcfg in place, Shah Deniz is one of the largest gascondensate fields in the world. Discovered in 1999, it is located in the Caspian Sea, 70 km south-east of Baku, the capital of Azerbaijan, in water depths ranging from 50 to 500m, and started producing in December 2006. Since then it has undergone a series of improvements and production capacity is now nearly 1 Bcfgpd, with gas delivered by pipeline to a number of countries including Azerbaijan, Georgia and Turkey. Expanding the project still further, Shah Deniz Stage 2, or Full Field Development, is a giant project that will add a further 565 Bcfg a year to the field’s output, and is designed to bring Caspian gas resources to markets in Europe for the very first time via a pipeline route known as the Southern Gas Corridor. The project includes the construction of two new bridge-linked offshore platforms, the first of which was safely towed out and installed towards the end of 2016. 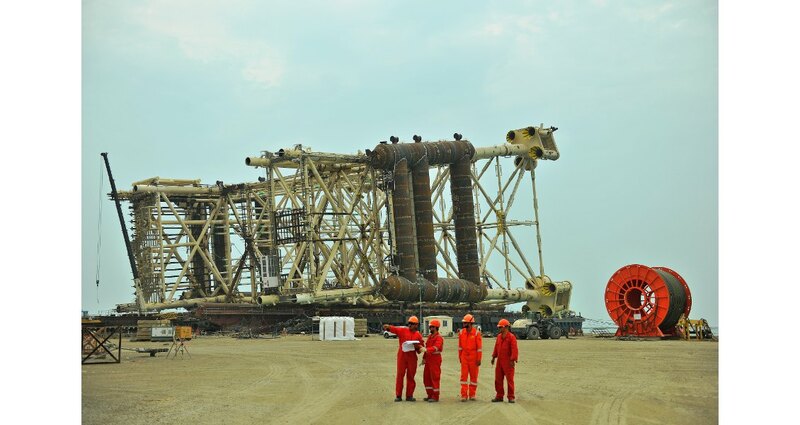 Operator BP have now announced that the second platform left the construction yard in mid-March and the transportation, launch, positioning, pile installation and final completion activities of the jacket structure are expected to take around 75 days, depending on weather conditions. Unlocking the potential of skills transfer to local communities is vital for mitigating risk in Africa.